A new study has revealed a possible genetic factor that may help identify babies at risk for Sudden Infant Death Syndrome (SIDS) -- the unexplained death of seemingly healthy babies less than a year old, often occurring during sleep. Researchers say babies who die from SIDS are more likely to have a rare mutation of the SCN4A gene, which is associated with weaker breathing muscles. "Our study is the first to link a genetic cause of weaker breathing muscles with sudden infant death syndrome, and suggests that genes controlling breathing muscle function could be important in this condition,” said Professor Michael Hanna, from the Medical Research Council Centre for Neuromuscular Diseases at University College London. Hanna and his colleagues noted that more research is needed to confirm and fully understand this link. However, their study found that harmful mutant versions of the SCN4A gene -- which helps regulate the muscular control of breathing -- were present in four of 278 children who died of SIDS. The researchers said the odds of seeing four of these mutations in a group of almost 300 children are “astronomical” because the mutation is so rare, usually affecting fewer than five people in every 100,000 people. Having weaker breathing muscles caused by the mutation can make children more vulnerable to the condition when they face other stresses to breathing, such as sleeping in the wrong position or getting entangled in bedding. 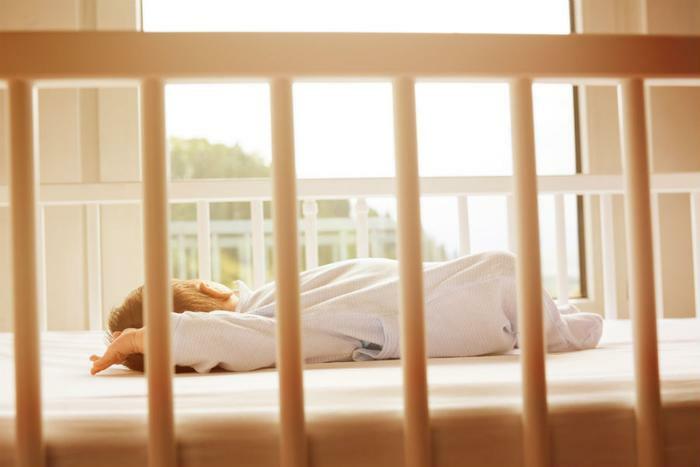 While the cause of SIDS is still unknown, several factors have been shown to contribute to a child’s risk for the condition, including brain defects, low birth weight, and respiratory infections. Maternal risk factors -- such as use of drugs or alcohol or engaging in unsafe sleep practices -- can also heighten the risk of SIDS. The researchers stressed that genetic mutations are likely not the sole cause of SIDS, and creating a safe sleep environment is still crucial to ensuring the safety of an infant. The American Academy of Pediatrics (AAP) recommends placing infants to sleep exclusively on their backs, on a firm, flat surface free of loose bedding or other objects. The AAP also recommends that babies sleep in a parent’s room, but not in the same bed, for the first six months of life. The full study has been published online in The Lancet.